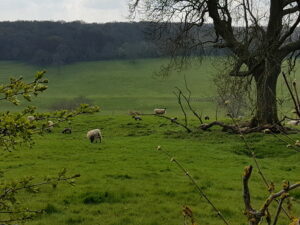 After the recent spell of lovely spring weather it was a little disappointing to wake up to heavy skies and a fine drizzly rain. 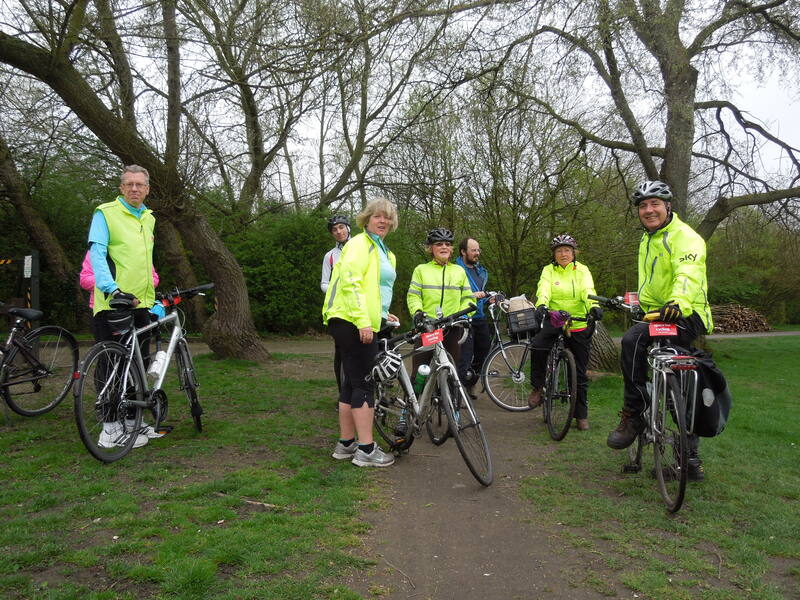 But as us (or should that be we) cyclists say there is no such thing as the wrong sort of weather for cycling – just the wrong sort of clothes. 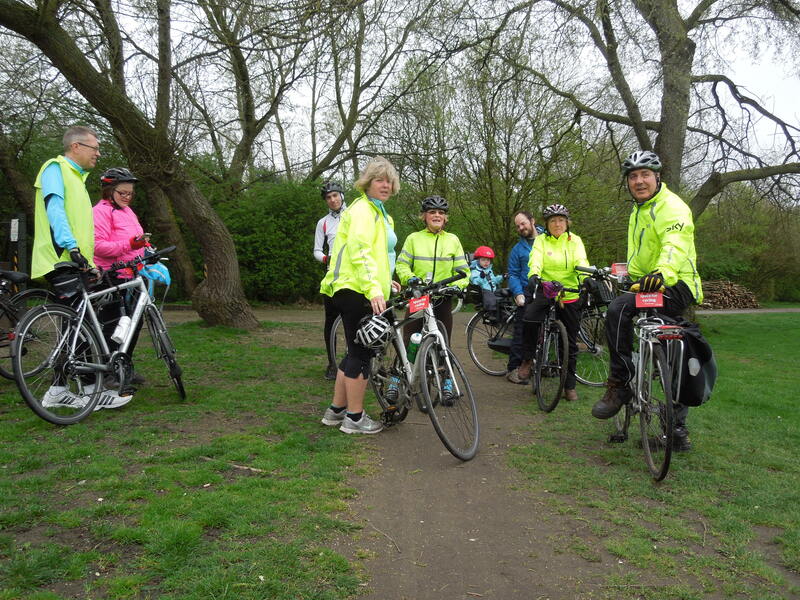 Nine of us met at Norman Park, all our regulars from the similar LSotM Rides from last year. 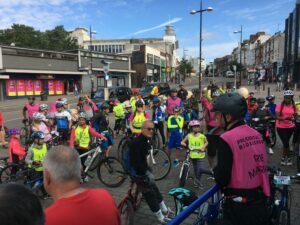 We chatted about the forthcoming Space 4 Cycling Campaign which will be launched tomorrow, and handed round some of the leaflets which had been sent out by the London Cycling Campaign (our mother organisation). 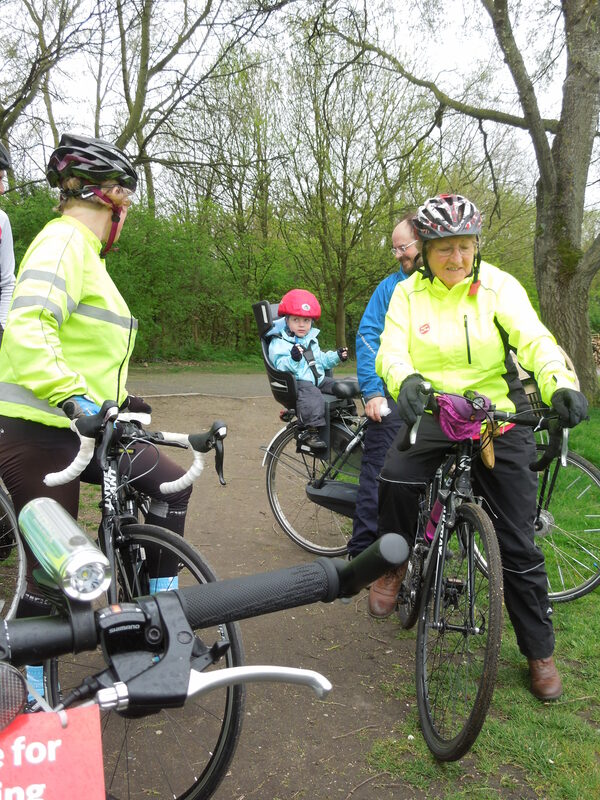 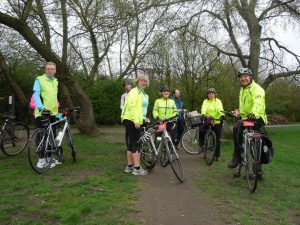 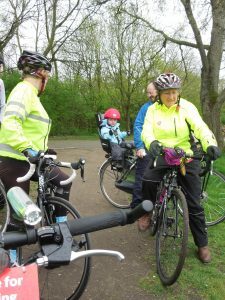 Linda led the strong ride out to Biggin Hill whilst Spencer led the Easy Ride to Beckenham Place Park.